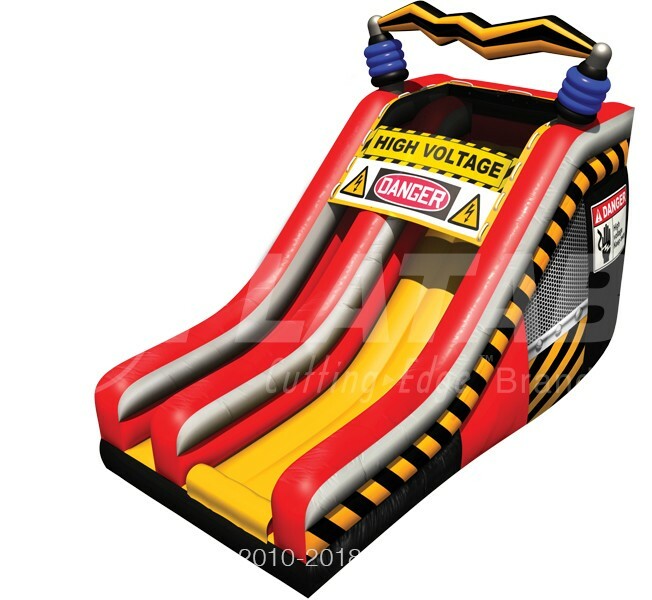 This inflatable features our popular High Voltage™ color scheme and has 1 slide and 1 climbing lane. 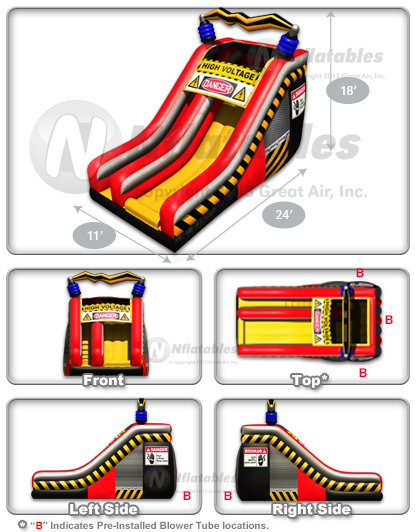 At 18' tall, it is ideal for both indoor facilities and outdoor events. The front entrance and exit also make supervision easy for any trained operator.